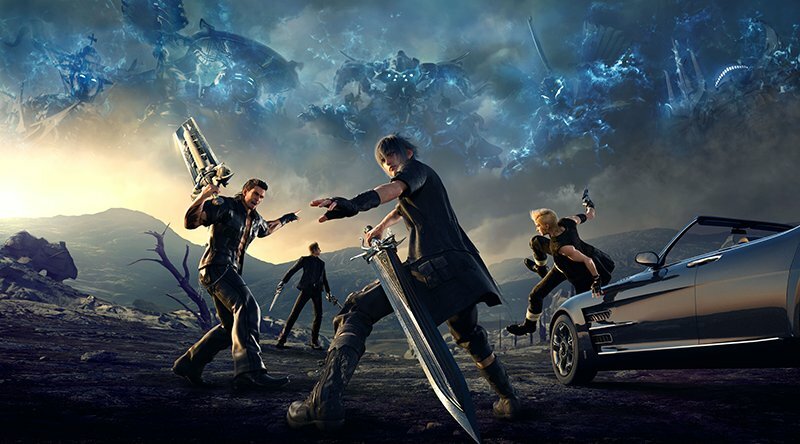 Final Fantasy XV has leaked across South America ahead of its intended November 29 release. Numerous streams have popped up from users who managed to grab early copies of the open-world RPG. Square Enix has responded to the earlier-than-planned release by warning people of potential spoilers posted online. "The November 29th release date is approaching and I sincerely hope everyone enjoys this game with a fresh state of mind," wrote the game's director, Hajime Tabata. "Unfortunately, there has been an unauthorised distribution of the boxed edition of Final Fantasy XV in select regions and we have noticed that gameplay footage from people playing these copies has appeared online. Though this type of situation is brought on by various region specific circumstances and may not be something that is completely avoidable, we are very regretful of this situation. "One of the major goals of Final Fantasy XV is for everyone to enjoy the story and to discover the surprises together through the simultaneous worldwide release. Due to these recent events, videos with unexpected spoilers could potentially be posted online, so we would like to warn everyone who has been waiting in anticipation for this game. "We will also do everything in our capacity to prevent unauthorized footage from appearing online. We would also like to ask anybody that has obtained an early copy of the game to be respectful to those that are looking forward to the official release and to not spoil the surprises for everyone." The game will also be getting a day one patch, reportedly 7.2 GB, the size of which will come as a disappointment to many, especially since avoiding that exact scenario was one of the primary reasons stated behind the game's delay. Find the Day One Patch notes below. Implementation of social media support, allowing the photos Prompto takes along your journey to be uploaded to Facebook and Twitter. In other FFXV news, Square Enix has revealed a new extended Final Fantasy XV trailer. The game will also be getting updated to support PS4 Pro's extra power--why not take a look at our list of every PS4 Pro game that is and isn't getting an upgrade patch. Final Fantasy XV releases November 29 on PS4 and Xbox One.